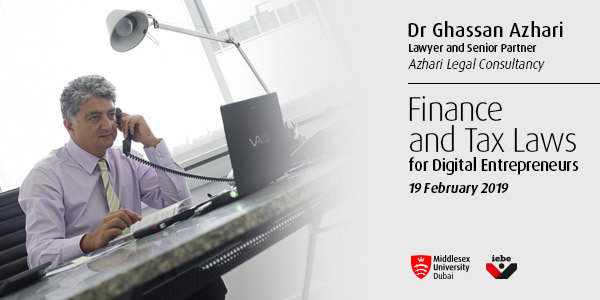 Dr. Ghassan has been invited by the Middlesex University for a special event of the Institute for Entrepreneurship & Business Excellence. He will speak about the international tax framework of e-commerce businesses. The event will take place on 19 February 2019 at 6:30 pm, Middlesex University, Oasis Theatre in Dubai Knowledge City. All our Clients are welcome!